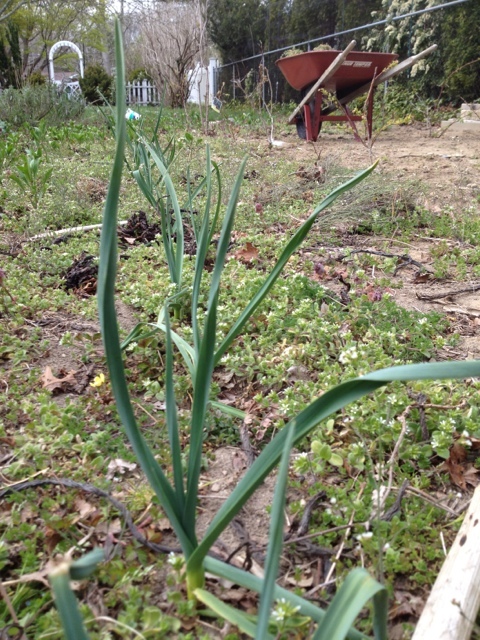 Planted last autumn, the garlic is currently winning the weeds race, but barely. I can’t wait to be pulling up the pungent plant rather than the stinky weeds. Fortunately, my chickens consider the invading species and all the grubs contained within their lacy roots quite the delicacy. So following that line of thought, I suppose I’ll be enjoying the weeds eventually.